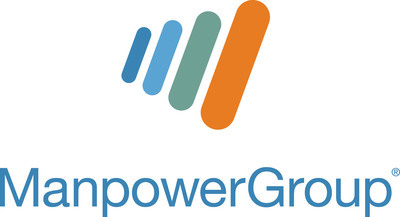 ManpowerGroup Honored as One of America's Top Corporations for Supporting Women-Owned Business Enterprises | ManpowerGroup Inc.
MILWAUKEE, March 1, 2018 /PRNewswire/ -- ManpowerGroup (NYSE: MAN) has been named one of America's Top Corporations for Women's Business Enterprises. The Platinum award recognizes ManpowerGroup as an industry leader for world-class supplier diversity programs and its commitment to enabling growth, fueling innovation and reducing barriers for women-owned businesses. "We are committed to ensuring we have the best blend of capabilities in our supplier network and that starts with working with diverse and skilled partners, including women-owned enterprises," said Becky Frankiewicz, President of ManpowerGroup North America. "ManpowerGroup is built on our strong values of inclusion and gender parity so we're delighted to be honored for supporting Women's Business Enterprises by the WBENC. This accolade is a welcome celebration of the work our people do every day to encourage diversity and create a culture of conscious inclusion for the women who work and partner with ManpowerGroup." WBENC's America's Top Corporations for Women's Business Enterprises award is the only national recognition honoring corporations who are choosing to integrate policies and programs enabling growth and reducing barriers for women-owned businesses, fueling innovation and empowering communities through economic growth and job creation. "As we launch the next decade of Women's Business Enterprise National Council, we are proud to honor WBENC's Top Corporations for Women's Business Enterprises, including ManpowerGroup, for choosing to set the standard for access and increase opportunities to women suppliers in new markets - both domestically and internationally," said Pamela Prince-Eason, President and CEO of WBENC, the nation's leader in women's business development. ManpowerGroup's report, Seven Steps to Conscious Inclusion: A Practical Guide to Accelerating More Women into Leadership provides practical steps to accelerate organizations to achieve conscious inclusion and close the gender gap. To download the full report on 7 Steps to Conscious Inclusion, visit http://www.manpowergroup.com/wps/wcm/connect/77c2ae4b-e850-44ee-b2b8-6d95e6eab8a5/Seven+Steps+to+Conscious+Inclusion.pdf?MOD=AJPERES.